1328∼1337년에 원나라 남풍의 의학교수 위역림(危亦林)이 조상인 고조할아버지부터 이후 5대 동안 치료했던 경험방을 모아 편찬한 의학책을 조선 세종 7년(1425)에 활자로 다시 새겨 찍은 것으로 총 20권 22책 가운데 2권 1책이다. 『세의득효방』은 조선 세종 7년(1425) 2월에 춘천부사에 의해 원나라판을 모방하여 총 20권 22책으로 간행되었는데, 의학시험을 위한 교재와 강의서적으로 널리 읽혔으며, 전체를 8과 276항목으로 나누어 19권을 만들고, 그 뒤『양생법절문』이란 손진인의 책을 덧붙여 총 20권으로 만들었다고 한다. 이것은 권 제 10∼11의 영본(零本:여러 권으로 1질이 되는 책에서 빠진 책이 많아 남아있는 부분이 적은 책)으로 권 10은 두통, 면병 등 10항목, 권 11은 활유론(活幼論), 초생(初生) 등 22항목이 수록되었다. 갑진자의 활자본으로 세종 때의 판본이 일본내각문고에, 갑진자본이 일본 궁내청 도서료와 대판부립도서관, 그리고 대만 등에 소장되어 있는데, 국내에는 전해져 존재한다는 사실이 알려진 바 없다. 비록 20권 가운데 2권 1책이긴 하지만, 국내에 희귀한 의학책으로 의학연구자료 및 서지학 연구자료로서의 가치가 높다. 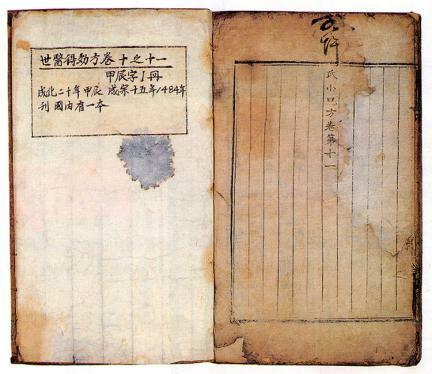 This is one book of two volumes of Seui deukhyobang series printed into 20 volumes in 22 books in the 7th year of the reign of King Sejong (1425) of the Joseon Dynasty following the medical books of Wi Yeok-rim, who was a medical professor in Nampung of the Yuan Dynasty of China, written during the period 1328-1337 based on practical medical experiences accumulated through five generations of doctors from his family. 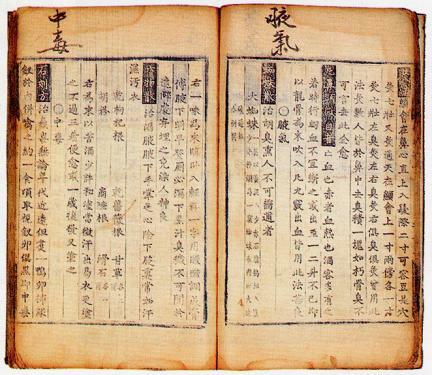 Seui deukhyobang was published by the Governor of Chuncheon in the 7th year of the reign of King Sejong of the Joseon Dynasty (1425) as 20 volumes in 22 books by adopting the original books from the Yuan Dynasty of China. The series were widely read as medical text or reference book. They were classified into 8 chapters and 276 items and made into 19 volumes. Later, after including another medical book titled Yangsaengbeop jeolmun written by Son Jin-in, it was made into 20 volumes. These series are Yeongbon (series that have lost many of their books), and this book consists of volumes 10 and 11. 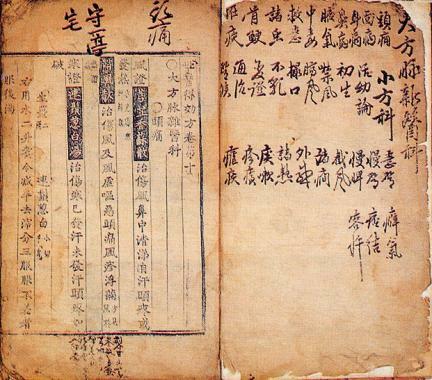 Volume 10 contains 10 items, such as headache and facial disease, whereas volume 11 features 22 items including Hwaryuron and Chosaeng (both for children). They were printed with the Gabjin-ja typeset. 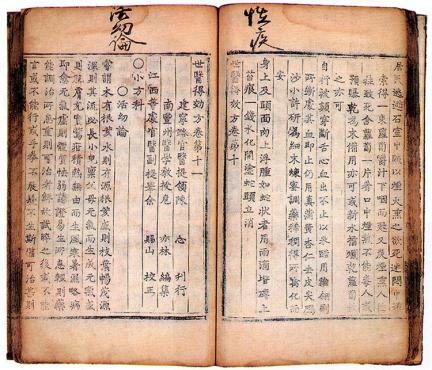 The copy from the time of King Sejong of the Joseon Dynasty is in the Library of the Cabinet of Japan, whereas the copies printed with the Gabjin-ja typeset are in the Library at the Imperial Household Agency in the Osaka Prefectural Nakanoshima Library and in Taiwan; no copy has been found in Korea, however. Even though only two volumes in one book remain out of 20 volumes, they are very rare medical books and are very important in studying ancient medicine and bibliography.